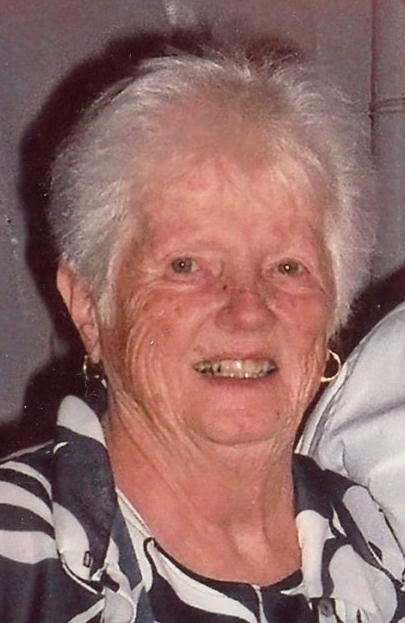 Joan C. Grant (McAndrews), age 89, of Milton passed away April 9th at the John Scott House in Braintree. Born in Cambridge, she was raised in Dorchester and graduated from St. Gregory’s High School. Beloved wife of the late John J., Sr., former Chief of the Milton Fire Department, Mother of John J. “Jack” Grant, Jr., current Chief of the Milton Fire Department and his late wife Josephine of Milton, Mark H. Grant and his wife Nancy of N. Reading, Elizabeth A. Hunter and her husband Shawn of Rockland, Edward R. Grant of E. Bridgewater, Maura J. Ciampa and her husband Joseph of Abington, and Joseph L. Grant and his wife Mystie of Mt Pleasant, S.C. Sister of Sr. Ann Marie McAndrews, SND of Framingham, Marge Muldoon of Hingham, Sr. Jane McAndrews, SND of Dorchester, Jean McAndrews of Naples, FL and the late William McAndrews. Also survived by 15 grandchildren whom she adored and was so proud of: JP Grant and his wife, Lily, Kristen, Michael, Ashley, Charlotte, Claire and Elizabeth Grant; Casey, Sarah and Harrison Hunter, Catalina Grant, Grace and Charlotte Ciampa, and Gailan and Marin Grant. She enjoyed bowling and reading, and was an expert knitter. She loved playing bingo at St. Agatha’s with her Bingo Buddies. Visiting hours at the Alfred D. Thomas Funeral Home 326 Granite Ave, Milton Tuesday, April 16th, from 4-8 pm. Funeral Mass at St. Elizabeth’s Church, Milton Wednesday morning, April 17th, at 10 am. Burial Milton Cemetery. In lieu of flowers, donations may be made in her memory to the Milton Firefighters Relief Assn, 515 Canton Ave Milton, MA 02186.